You can approach any estate agent to find out what appraising your property entails. It may cost you a few dollars but the money is well spent. 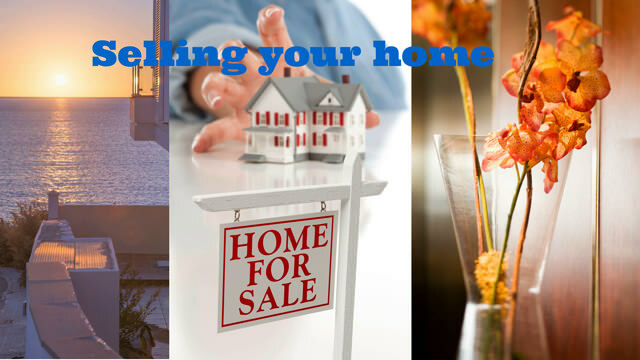 An appraisal will give you a realistic figure as to how much you can sell your home for. While it is possible to sell your property privately, it's much less stressful to hire a professional real estate agent to do the job for you. The agent will employ a number of methods to sell your home one of which may be an open house. This is when interested parties come to your home on a day that suites you in order to view your home. You need to check your schedule to see when it is convenient for you to be out of your home so that viewers can come look. An open house works well as it allows multiple interested parties to come and see your home in one sitting. An interested party could put in a offer right away and you are all of a sudden much closer to selling your home. Once a buyer has expressed a serious interest in your home, he or she will put in an offer for the home that you will either accept or reject. Should you accept the offer, you will both sign a contract which will be handed over to conveyancers to deal with.